What are you waiting for? Simply turn and move as Nvidia announces the world’s fastest video card. The company did not want to end 2017 without reinforcing that tradition: Titan V is the newest all-powerful GPU for PCs of the brand. Moore’s law is the name given to an observation made by the co-founder of Intel in 1965. Moore’s Law talks about doubling the number of transistors per inch in about every two years. However, in recent years, Intel has strived to keep pace and comply with the Moore’s Law. NVIDIA chairman Jensen Huang gave a talk last week at the GPU Technology Conference (GTC) 2017 in China, he mentioned that in the future the GPU would exceed the power of the CPU and that with it the Law of Moore would be officially dead. Huang referred to Moore’s Law by saying that although the number of transistors has increased by 50% each year, this is not reflected in performance. The NVIDIA CEO recognizes that it is becoming increasingly difficult for chip designers to increase this number and so is exploring other options such as multi-chip GPUs. Turn and move as Nvidia announces the world’s fastest video card. The company did not want to end 2017 without reinforcing that tradition: Titan V is the newest all-powerful GPU for PCs of the brand. And, well, it’s expensive, too expensive: you need to shell out $2,999 if you want to take this GPU. The price is subject to discussion, but it is undeniable that Titan V even has a lot of firepowers. 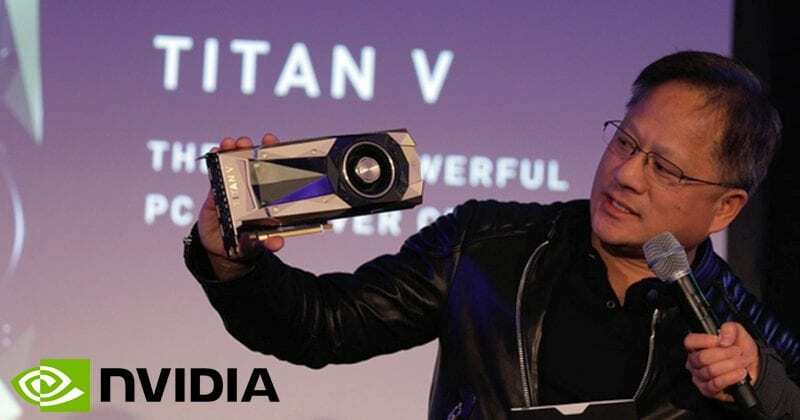 Nvidia talks about the performance of up to 14.9 teraflops in single precision (FP32) and up to 110 teraflops in machine learning applications, capacity is nine times higher than that of the equally powerful Titan XP, a board launched in April. The Volta GV100 architecture is based on a 12-nanometer FFN fabrication process from TSMC. What matters most here is that we can find a chip with 21.1 billion transistors in a die of 815 millimetres square. So, what do you think about this heavy GPU? Simply share all your views and thoughts in the comment section below.